This Friday, June 16, 2017 was held in Beauvechain the remission of command of the 1 Wing. The ceremony was under the command of Major General Aviator BEM Frederik Vansina Air Component Commander, in the presence of Vice-Admiral Michel Hofman representing the Chief of Defense and Defense Minister Steven Vandeput. Many of the former Air Component and 1 Wing commanders are present. During his command, Colonel Franchomme managed the transformation of 1 Wing into a multiple platform that now employs over 1500 people and has become the largest in Belgium. The merger of Koksijde's 40th Squadron, the arrival and the operational certification of the new NH90 Caiman helicopters (land and sea version), the implementation of the QRH (quick reaction helicopter), staffing for the protection of sensitive sites (following the attacks of 22 March 2016) are among others missions carried out with great diplomacy by a personality at the same time firm and very sympathetic. We recall also the revival of the famous Helidays (which had been forgotten for several years) with a big popular success in reward of the efforts provided. Before being promoted to the rank of General and leaving to fulfill the duties of military attaché in Washington, after exactly three years in function as BaseCo at 1 Wing, Colonel Aviator BEM Georges Franchomme passes the relay to Colonel Aviator Engineer BEM Danny Vandenberk, during a ceremony full of emotion. We wish both of them a perfect success in the pursuit of their careers and thank them for their kind invitation and for the quality of the reception that has been reserved for us. 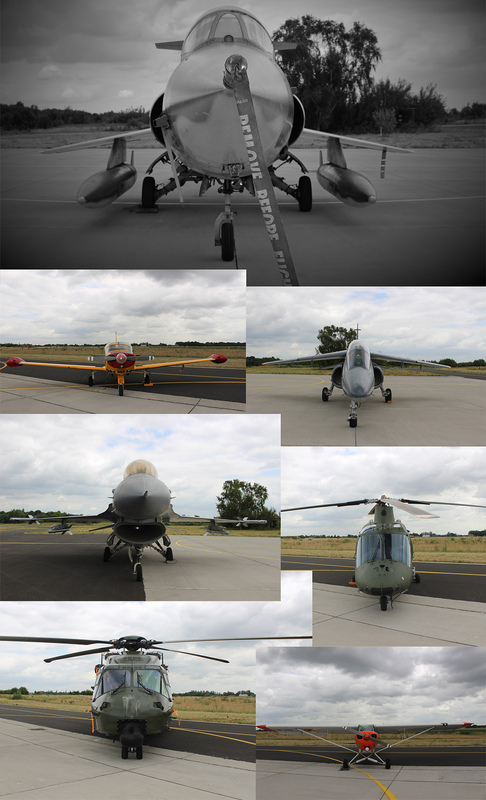 A last show by the A109 demo … with emotion ! Born on August 17, 1964, he joined the 124th All Arms promotion of the Royal Military Academy in 1984, was member of the promotion 87B "François Venesoen DFC" and received his wings on February 9, 1990. He began his career on F16 in the 349th Fighter Squadron in Beauvechain AB and participated in numerous exercises and deployments such as the Tactical Leadership Program (TLP), Red Flag in Nevada (USA), low level flying in Morocco, and training in international air operations. In 1996 he moved with his squadron to Kleine Brogel AB before taking the course of candidate superior officer and to be named operations officer in the 350th Fighter Squadron in Florennes AB. In 1998 he was placed at the head of the Initial Cadre F16 Mid Life Update and transformed the 349th and 23rd squadrons on the modernized version MLU and participated in 1999 in operations over Kosovo. From 1999 to 2002, he was assigned to the Plans and Programs section of the General Staff in charge of investment programs and then to the Directorate of Materiel Resources for Combat Aircraft. In 2002 he attended the Superior Staff Course in Paris then from 2003 to 2005 he was Commanding Officer (CO) of the 350th Squadron where he led the first deployments of F16 in Lithuania (protection of the Baltic countries). Promoted to Lieutenant Colonel in 2005, he was appointed head of the Combat Operations Section at Comopsair from 2005 to 2007 before returning to Florennes AB (2 Wing Tac) as Commander of the Flight Group (NSO) from 2007 to 2009 where he is also in charge of preparation for the first detachments that will participate in the Operation Guardian Falcon (OGF) in Afghanistan after all air combat capabilities have been certified in the latest NATO assessment. From 2009 to 2012 he is an Air Capability Specialist in the Defence Strategy Department and will serve as Red Card Holder at the ISAF Joint Command in Kabul (Afghanistan) in 2010 and in Poggio Renatico (Italy) for operations in Libya in 2011. Appointed Colonel in 2012 he became commander of Comopsair Operations Division and also auditor of the High Security and Defence Studies in 2013. 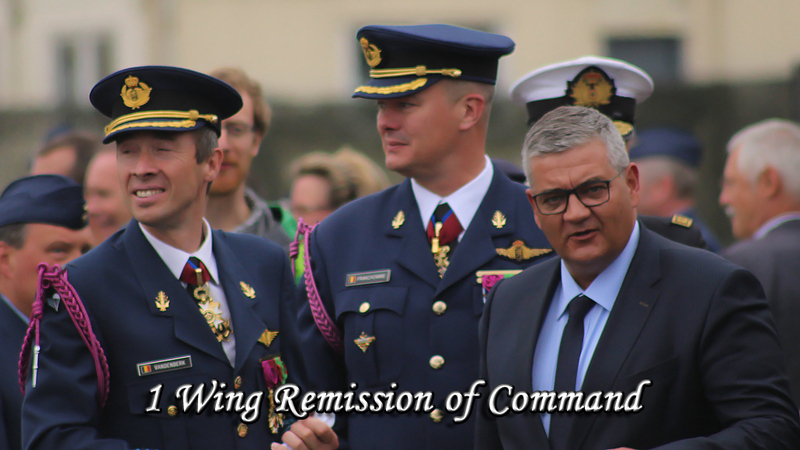 On June 12, 2014, he took command of the 1 Wing of Beauvechain AB to which the base of Koksijde was added on June 19, 2014. He has 3349 hours of flight including 2500 on F16 and 200 on A109 after passing his qualifications in 2014. Born on 16 August 1966, he joined the 140th Polytechnic promotion of the Ecole Royale Militaire in 1985 and then continued his training as a helicopter pilot at the Brasschaat Light Aviation School before starting his career in 1993 at the 16th Battalion Helicopters from Butzweilerhof (near Koln - FRG) where he is the maintenance officer. He completed his conversion on A109 in 1994 and was transferred the following year to the Land Force General Staff in Evere in the AéMob Plans and Programs section responsible for procurement programs for A109. In 1998 promoted Captain he joined the Light Aviation Group in Bierset where he is head of the Technical Office and Air Safety Officer (FSO). After completing the courses for Senior Officer at the IRSD, he was transferred in 2001 to the DGMR steering equipment section to manage the Joint Support Helicopter Program and then become the National Program Coordinator for A400M. After obtaining his staff certificate, promoted as Major, he returned to DGMR in 2005 to manage the NH90 Cayman program and was promoted to Lieutenant-Colonel in 2007. In September 2007, Light Aviation is transferred to the Air Component and he changes its uniform to a blue one. In 2011 he took command of the 1 Wing Flight Group where he managed the arrival of the NH90, succeeded a Nateval for the A109 capability and the deployment of A109 in Mali as part of the French operation "Serval". In 2014 he joined Comopsair as a Synthetic Officer and Military Advisor to the Air Component Commander and was promoted to the rank of Colonel in 2016. It has more than 2000 flight hours, most of it on A109.